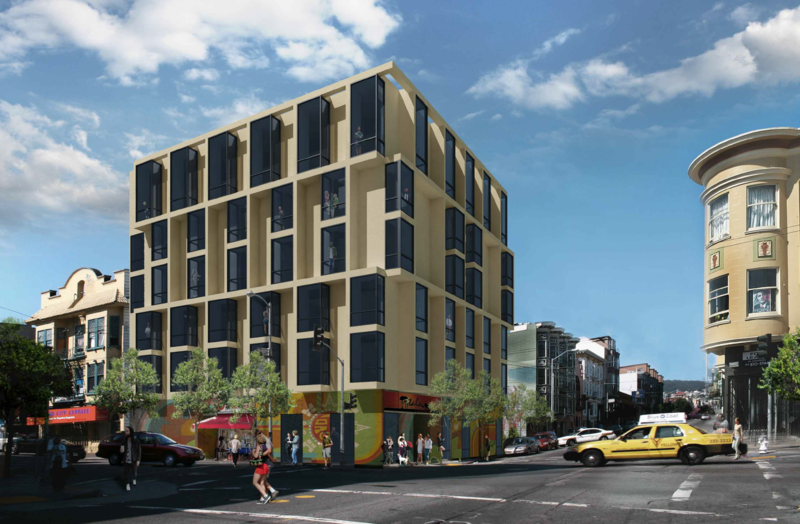 Plans to demolish a dollar store on 17th and Mission streets and build 29 units of housing may be restarting, with a new design that re-envisions the 2014 contemporary, metallic design with a plainer block six-story building. The developers of 2100 Mission Street are inviting neighbors to a meeting at 6:30 p.m. on July 25 at the Mission Pool Clubhouse at 19th and Linda streets to discuss the updated plans for the conversion a commercial ground floor space*. 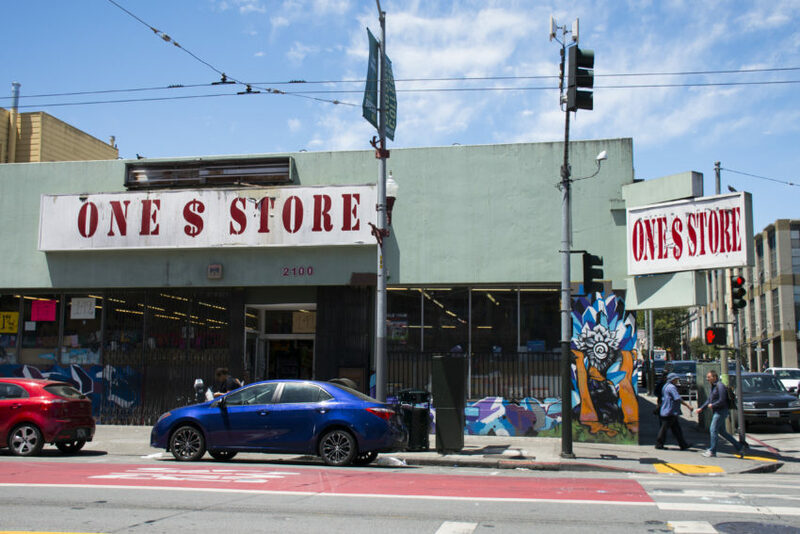 “Please join us for an open house to discuss updated plans to convert 2100 Mission Street into 29 transit-oriented homes and new, community-focused retail space,” the unsigned letter reads. Documents submitted to the department indicate architect Niel Kaye of Natoma Architects is designing the proposed building. The property owner listed on a 2015 application document is Timothy Muller. A spokesperson for the project declined to comment, saying the developers were not doing any media about the proposal before the meeting. Application materials submitted to the Planning Department indicate the building would provide 29 apartments with 17 one-bedroom bedroom units and 12 two-bedroom units. Three of the units will be sold at below market rate, in keeping with the grandfathering timeline of the city’s new affordability requirements. Since the application in 2015, the design has been adjusted significantly. Early renderings on Natoma Architects’ website, show a sleek blocky building with a glassy and metallic appearance as well as vertical fins that act as both privacy shades and baffles. The standout design prompted feedback from the Planning Department’s Urban Design Advisory Team to tone down the appearance. An updated rendering of 2100 Mission Street as designed by Natoma Architects. Image via SF Planning Department. *Update: Per a clarification from the developer’s spokesperson, plans for the property no longer include any of the originally planned 15 vehicle parking spaces. Should be much bigger but still great news. Thanks for reporting! Another example of SF Planning’s race to the bottom of architectural mediocrity, all in the name of an “eligible” historic district that is a mishmash of types, styles, and (mostly low) quality buildings. The original design is so much more well-considered, beautiful, and climate responsive. Poor Stanley getting pushed into stucco banality and token mural “cultural authenticity” by ignorant and cowardly planners. SF Planning, please cease your crusade against great architecture for our great city!